HONOLULU – After more than 13 years of rigorous research, Hawaii ranchers today joined Hawaii Department of Agriculture (HDOA) entomologists at Kahua Ranch on Hawaii Island to release approximately 1,000 Madagascan fireweed moths, Secusio extensa (Arctiidae), which represent the state’s best hope of controlling the aggressive Madagascar fireweed – an invasive plant toxic to cattle and horses. The Madagascan fireweed moth lavae voraciously consume the leaves specifically of fireweed plants, which is estimated to have taken over more than 850,000 acres of pastureland, mainly on Maui and Hawaii Island. 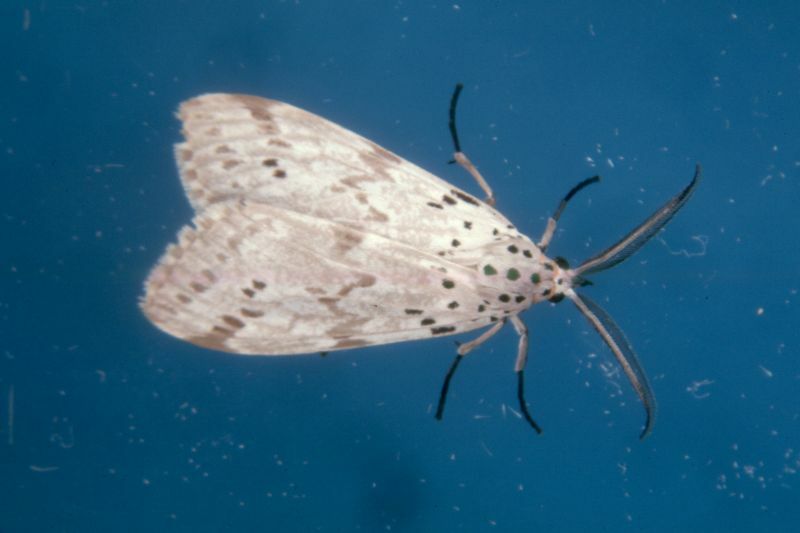 The release areas on Hawaii Island will be monitored to determine the progress of the fireweed moth. Moths will also be released on Maui in a few weeks. 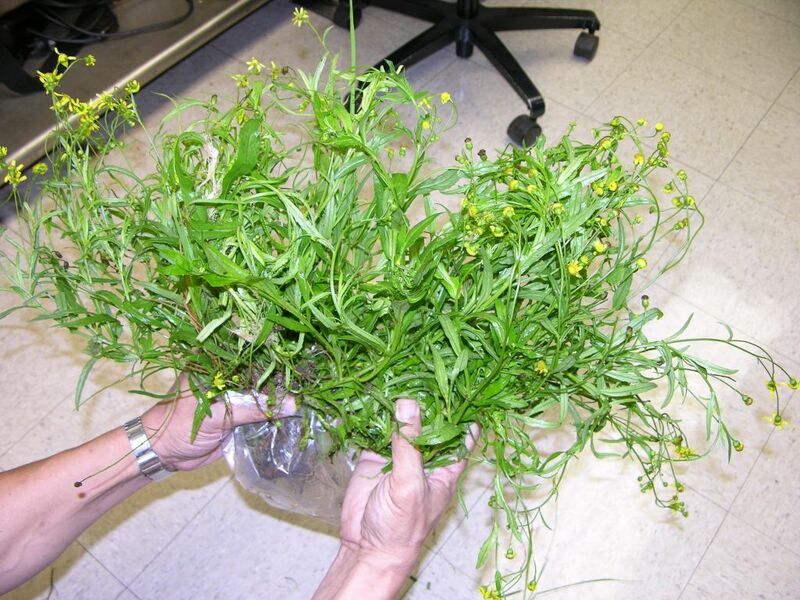 In 1999, HDOA began looking for a biological control for the deadly Madagascar fireweed, also known as Madagascar Ragwort, which has yellow daisy-like flowers. Although there are effective pesticides, they are cost-prohibitive and impractical to use across hundreds and thousands of acres. Besides Hawaii, fireweed has spread through many parts of the world killing animals in Australia, Brazil, Argentina, Colombia, Venezuela, Uruguay, and Japan. The moths released today are the first biocontrol agent to be released against Madagascar fireweed in the world. 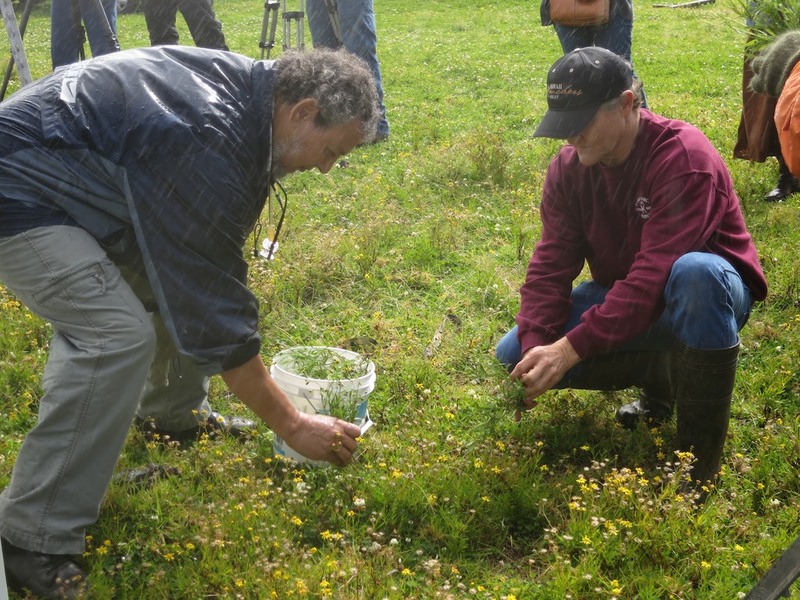 Early on, the Hawaii Cattlemen’s Council agreed that biocontrol was the only feasible long-term option for control of fireweed. 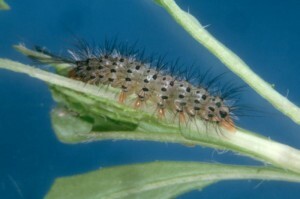 The Council funded the first exploratory trips by HDOA entomologists to southern Africa and Madagascar to search for an insect or disease that could safely control fireweed. Dr. Richards is not the only one rearing the fireweed moth. A rearing and release program has been developed in collaboration between ranchers, HDOA, and the University of Hawaii College of Tropical Agriculture and Human Resources. The program’s goal is to release large quantities of caterpillars and moths to help control fireweed. It is believed that fireweed came to the islands in hydromulch material imported from Australia. The state approved the release of the moth in 2010, but also required approval of a federal permit, which was finalized by the U.S. Department of Agriculture on Dec. 6, 2012. HDOA’s exploratory entomologist, Dr. Mohsen Ramadan, traveled to Australia, South Africa and Madagascar in 1999 and returned with 14 insects and one fungus, which were researched and tested under quarantine conditions. Some were found to be ineffective, while others were found to harm other native or beneficial plants. Dr. Ramadan traveled to the region again in 2005, 2007, 2011 and 2012 to look for more potential biocontrols for fireweed and other pests, such as coffee berry borer, small hive beetle and the protea mealybug. 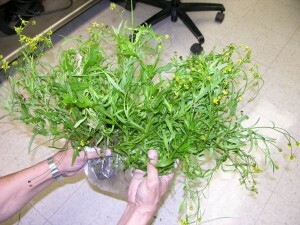 HDOA is also testing four other potential natural enemies of fireweed, each which appear to attack different parts of the plant. 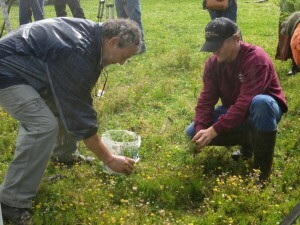 At left, Dr. Mohsen Ramadan, exploratory entomologist with HDOA and at right, Dr. Tim Richards of Kahua Ranch release Madagascan fireweed moths on fireweed growing on Kahua Ranch in Waimea on Hawaii Island. 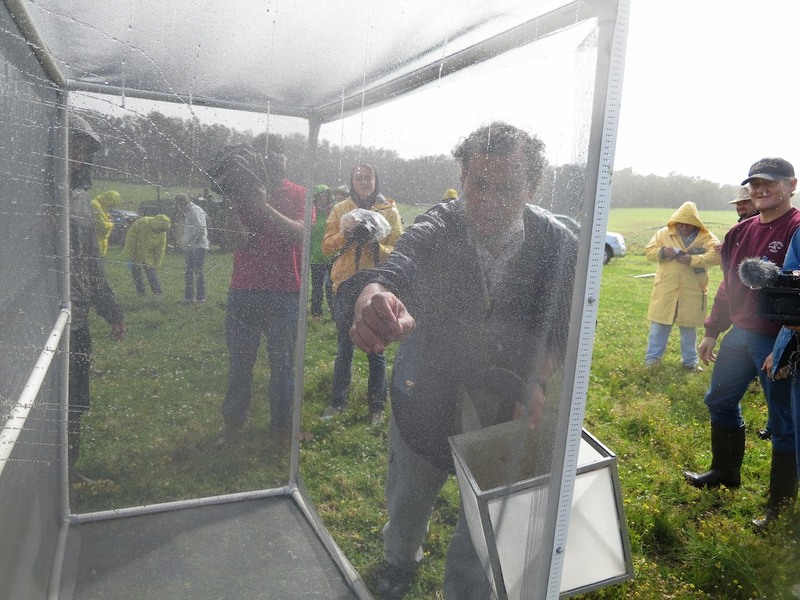 Foreground – Dr. Mohsen Ramadan releases the fireweed moths from the rearing cage.